Don’t expect a Shia surprise in the next Indiana Jones film. According to screenwriter David Koepp (via EW), actor, performance artist, freestyle rapper, motivational speaker and alleged actual cannibal Shia LaBeouf is not in the latest iteration of the Indiana Jones 5 script. 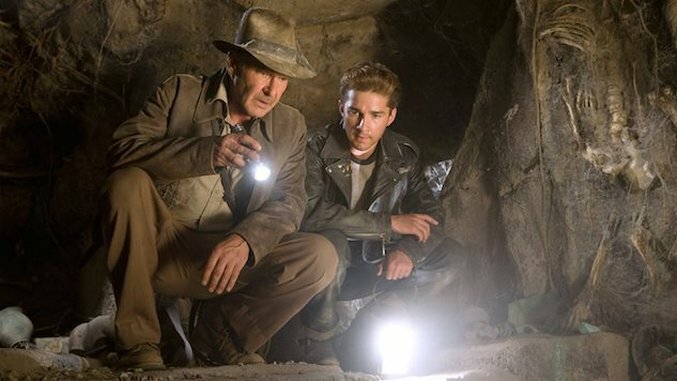 The lack of LaBeouf might be a surprise to some, considering the final moments of the controversial fourth movie, Indiana Jones and the Kingdom of the Crystal Skull. LaBeouf’s character, greaser and Indy’s son Mutt Williams, picks up Indy’s famous fedora hat after the wind carries it to his feet, hinting at an adventurous future for the biker (although Indy snags the hat back before Mutt can put it on). This is less of a surprise to everyone else, seeing how LaBeouf had some choice words about director Steven Spielberg long after the film’s release. Speaking to Variety last year, LaBeouf spoke about his work with the director: “You get there, and you realize you’re not meeting the Spielberg you dream of. You’re meeting a different Spielberg, who is in a different stage in his career. He’s less a director than he is a f—ing company.” LaBeouf goes on to mention that the only movie with Spielberg that he’s proud of is the first Transformers, which Spielberg served as executive producer for. Additionally, as EW mentions, LaBeouf stated how the film and those involved “dropped the ball.” It is clear to many that bridges have been burnt. Koepp had few details about the new film to divulge to EW, besides that “Harrison [Ford] plays Indiana Jones.” The currently untitled fifth Indiana Jones movie will be released by Disney and Lucasfilm on July 10, 2020.